Skye joined the herd Fall 2018 bringing her steady experience of a local show horse with children and young adults. She is in her early 20's and has that quarter horse stocky build and gentle spirit. She's a beautiful chestnut color, has a diamond on her forehead and is 14.3 hands tall. Strawberry is a 15 hand Kentucky Mountain/Tennessee Walker mare donated to LeCheval by Hobbs Regulation Mountain Horses. 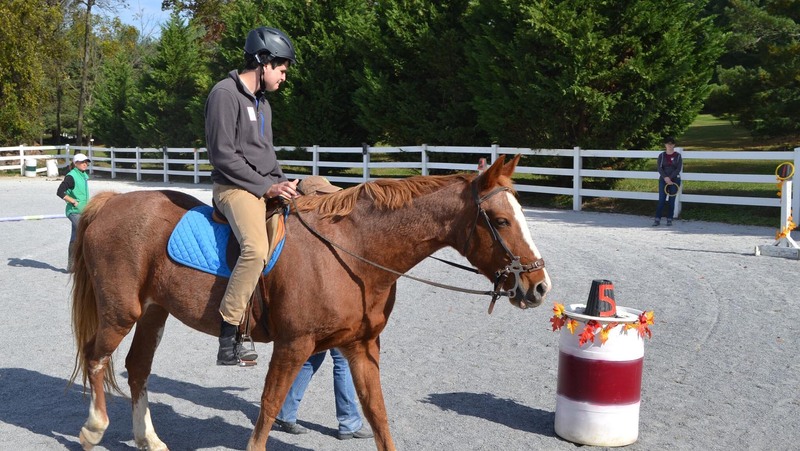 She is well suited for therapeutic riding due to her lateral movement and fluid gaits. 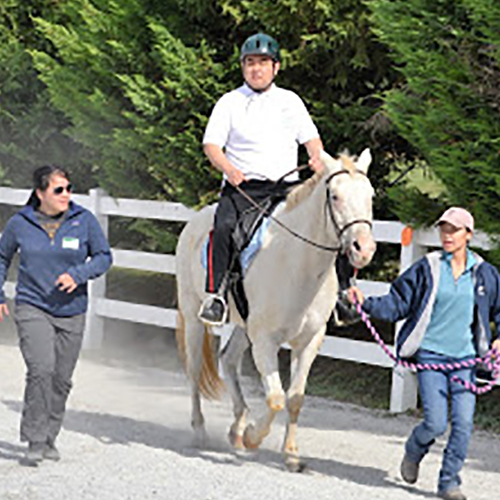 This mare has supported several riders in Special Olympics yearly. Her coat has a mixture of white and chestnut-colored hairs, which makes her a strawberry roan. Berry has a sweet disposition and a curious personality! Terra, a registered Quarter horse mare, provides support for many of our taller riders who want to ride english or western. She is flea bitten gray color and is 17 years old. Her great disposition allows riders to engage in paired games and drill team formations. She is a registered paint and her baby blue eyes and 15.1 hand stance add to her unique character. 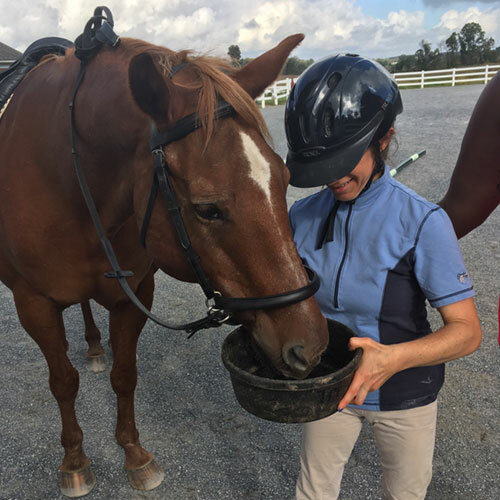 She has proudly participated in Maryland Special Olympics Equestrian competition, Maryland Council for Equine Therapy shows and several local horse shows. 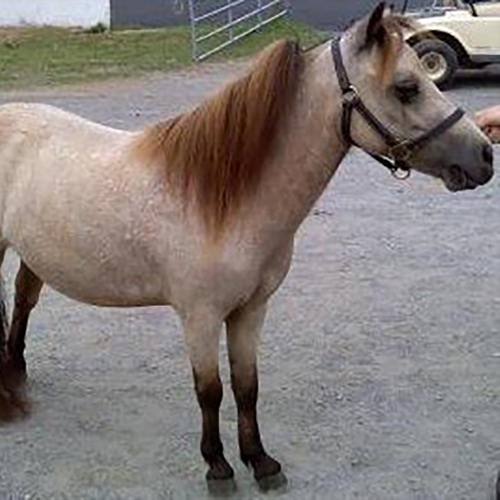 Bella, AMHA (American Miniature Horse Association) is a registered Buckskin mare standing a 32 inches tall. 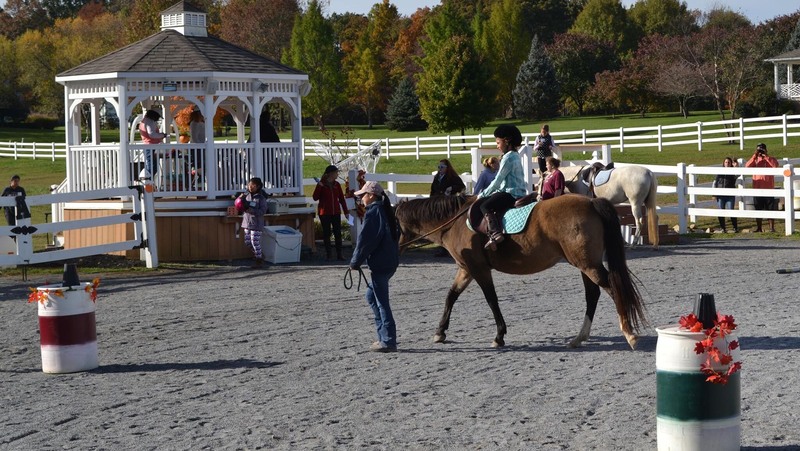 She is 6 years old and has participated in mini-horse shows at the Howard County Fair and 4H clinics. Bella has visited medical adult and assisted living residents. She is a good pal for grooming and ground work for individuals of all ages getting acquainted with equines. Bella will count for you to get her treats! Peaches, is an approximately 12 year old Scottish Highland mare. 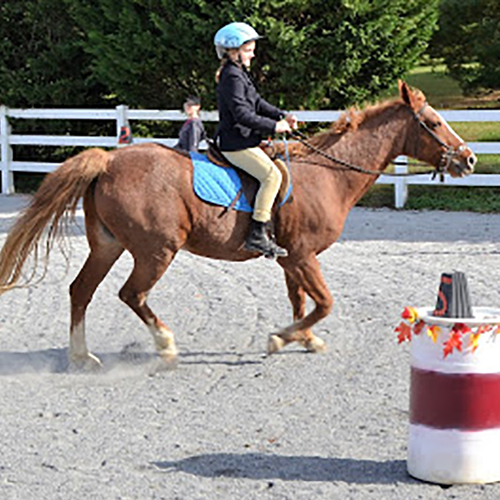 She loves to jump and has a choppy trot-a-long stride helping riders learn to post. She is 13.2 hands and stocky making her a good mount to support riders who benefit from side walkers. 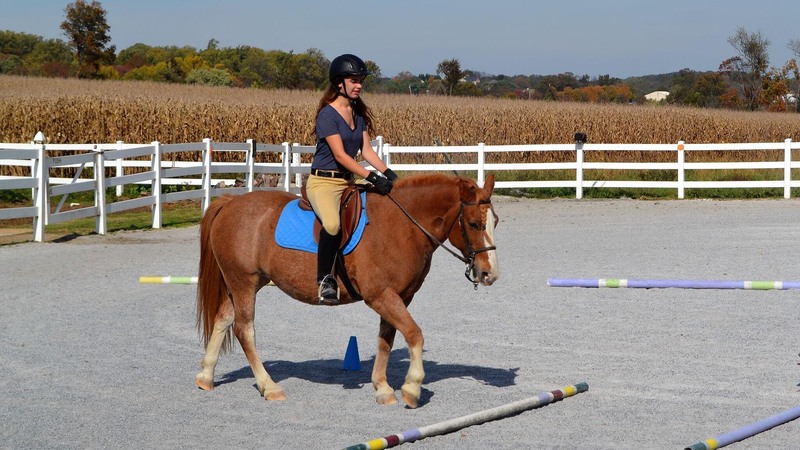 Willow, a 10 year old Welsh cross thoroughbred mare, is 14.0 hands. Her unique dun color closely matches Bella, our miniature. 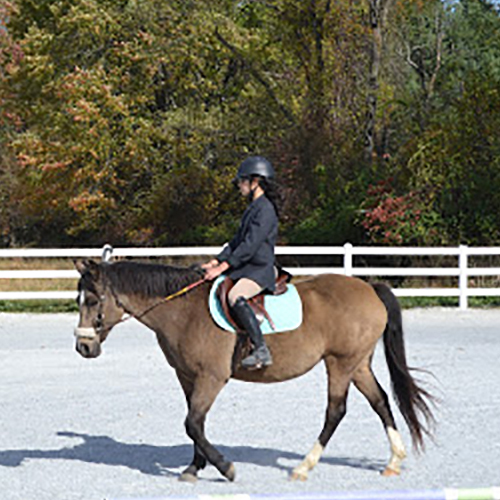 She has previous horse show experience, hunter and flat work. We love her temperament and friendly personality. 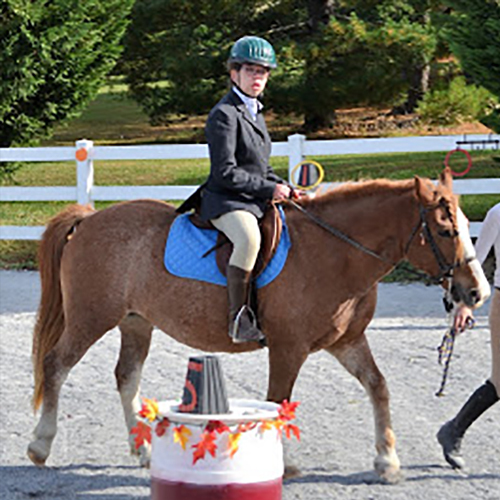 She is excited to work with our young lead liners, advanced beginners, and intermediate riders.